Maruti’s sub-compact SUV, the Vitara Brezza has been crash tested by the Global NCAP. In the test, the Brezza scored a respectable four out of five stars for adult occupant protection, and two out of five stars for child safety. NCAP said that protection offered for the driver and co-driver’s heads and necks was ‘good’, whereas chest protection was marginal for the driver, and good for the passenger. As far as the knees are concerned, it was rated good for the right knee and marginal for the left knee of passenger, and marginal for both knees of the driver. For adult safety, the Brezza scored 12.51/17. For reference, the Tata Nexon scored 13.56/17 in the same test. 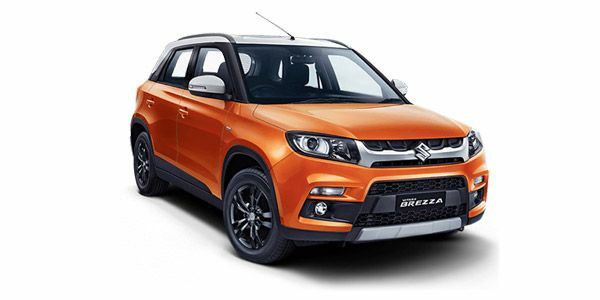 The prices of Vitara Brezza diesel variants start at Rs. 7.68 lakh and the top-end diesel is priced at Rs. 10.65 lakh. Maruti Vitara Brezza is available in 9 variants and 9 colours. The claimed ARAI mileage for the Maruti Vitara Brezza diesel is 24 kmpl. The new compact SUV, the Maruti Suzuki Vitara Brezza is a no-nonsense car for someone that wants to buy a reliable, stylish and yet, very well-equipped SUV with adequate performance. Q. Is is worth buying brezza? Q. Which is better brezza or s cross in overall performance? While we still don't have it in petrol, the Vitara Brezza now offers more safety kit and gets the convenience of an AMT. We play DJ to see if Maruti got the tune right. Can the newest cross-hatch in town tempt you away from the king of compact SUVs? Baleno vs Brezza vs Ciaz: Which Maruti should you buy? For someone who swears by the Maruti Suzuki brand there are quite a few options in the Rs 10-12 lakh price range. So which one of these should you buy? The Maruti Vitara Brezza is a leading compact SUV stacking under 4-metres of length, with a huge lead over its rivals. The Brezza has got all the right ingredients on styling and this Maruti looks every bit an SUV. The interiors of the Brezza are also sensibly designed and all the controls are placed well within reach. The rear bench offers plenty of space and the boot is quite spacious too. Maruti still offers the Brezza only with the single option of a 1.3-litre DDiS diesel engine that puts out 90PS and 200Nm, mated to a 5-speed manual transmission with an AMT option from the VDi variant onwards. The Maruti Suzuki Vitara Brezza offers incredibly high fuel efficiency figure of 24.3kmpl and the widest dealership network of Maruti Suzuki adds to the overall brand value of this compact SUV. The Vitara Brezza retails in the price range of Rs 7.24 lakh-10.49 lakh (ex-showroom, Delhi) and is challenged by the likes of the Tata Nexon, Ford EcoSport and Mahindra KUV 100. If it ain’t tall and boxy, it’s no SUV, says a vast majority of India’s car-buying junta. Maruti Suzuki has been listening quite intently, as it turns out. The Brezza carries that upright SUV stance and has just the right amount of bling in the projector headlamps, the 16-inch gunmetal alloy wheels and the two-tone paint scheme. Yes, the design can be called safe, but looks like the two lakh-plus buyers aren’t complaining. With the new update, Maruti has also added black alloy wheels in the ZDI and ZDI+ variants.The manufacturer has also discontinued the Cerulean Blue paint for a spunky Orange, which we quite like! The cabin of the Brezza is thoroughly practical. It’s spot-on in terms of ergonomics and gets the goodies you want, including a touchscreen infotainment system and automatic climate control. It’s big enough to accommodate five people and the 328-litre boot shouldn’t have issues swallowing their luggage. What’s more, you can even play around with colours to personalise the cabin courtesy Maruti’s “iCreate”. Maruti’s compact SUV is available with a single engine option. It gets the tried-and-tested 1.3-litre diesel engine that develops 90PS of power and 200Nm of torque, paired with a 5-speed manual transmission or a 5-speed AMT transmission (available from the VDi variant onwards). The diesel motor’s punch makes it a fun drive when you’re pushing it, but it wears you out inside the city in the manual. 0-100kmph is dealt with in 12.36 seconds, whereas 30-80kmph in third gear takes 8.58 seconds. The AMT, on the other hand, has changed the driving experience in the city. It’s now much smoother and the slightly peakey power delivery has been softened as well. Naturally, it takes longer to get to 100kmph at 14.97 seconds, and in-gear acceleration is a tad slower to — 20-80kmph takes 10.28 seconds. With the manual, the fuel efficiency (21.7kmpl in the city, and 25.3kmpl on the highway) will definitely keep a smile plastered on your face. While it does drop down a little in the AMT (17.68kmpl in the city, and 20.91kmpl on the highway), it still stays ridiculously efficient. On the safety front, dual airbags, ABS with EBD and rear parking sensors have been added to all the models. The Vitara Brezza now complies with the upcoming pedestrian safety norms and also features ISOFIX child seat mounts, high-speed warning alerts, front seatbelt pretensioners and force limiters, which will also be standard across the range. While the VDi ticks all the essentials, the ZDi adds a bit of zing to the package by offering LED light guides and automatic climate control. That said, it’s only the top-spec ZDi+ that gets the feel-good features such as the touchscreen, reverse camera and dual-tone paint scheme. Ford EcoSport: The one that kicked off the segment in style. The EcoSport combines proper mini-SUV looks with sporty handling, top-shelf safety kit and a choice of three engine and two transmission options. There’s not much wrong with it, honestly. Honda WR-V: There’s more to the WR-V than being a Jazz on steroids. While it retains the hatchback’s basics of space and functionality, it brings in the added advantage of high ground clearance. It also gets a sunroof. Doesn’t everyone want a sunroof in their lives? Tata Nexon: Among the best vehicles to roll out of a Tata factory ever, the Nexon comes very close to acing the compact-SUV game. The funky styling, big 350-litre boot and some segment-firsts like an activity key make it a formidable force in the segment. The Brezza ticks the basics of punch, practicality and peace of mind. If you can bear the ridiculously long waiting periods (8 months), you’ll end up with a compact-SUV that won’t let you complain. But, in all probability, so will everybody else. The AMT is a brilliant addition to the Vitara Brezza; in fact, it’s so good that we’d recommend you chose the automatic over the manual. It’s actually better to drive in the city and that in our books makes up for the slight drop in efficiency and the increase in price.